Excerpts from my journal while in Detroit, moving backwards (not always), last to first. 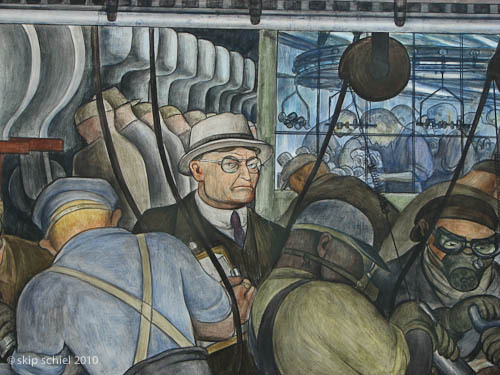 About deindustrialization, depopulation, residential and commercial vacancy, corruption of capitalism—and the rise of urban gardens, local resistance and activist organizations—ending with news about the US Social Forum, Allied Media Conference, and the first public national gathering of anti-Zionist Jews in the United States. In several parts, with photos and videos. There can be no beauty if it is paid for by human injustice, nor truth that passes over injustice in silence, nor moral virtue that condones it. Cool and mostly clear, wind abating. Yesterday I visited with DD, my old chum from Friends General Conference gathering maybe 10-15 years ago. 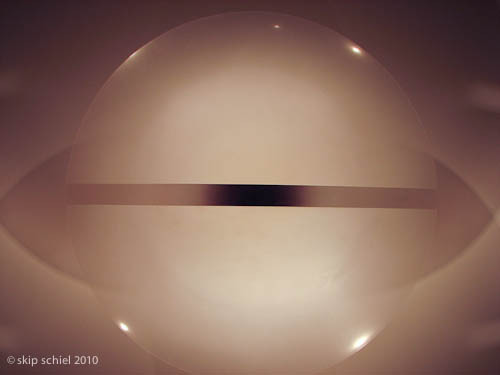 We found much in common, especially lauding art informed by a political perspective. She told me that before she retired she taught a course at Detroit Friends School called Art and Social Concerns, or the like, and that Kathe Kollwitz is one of her favorite artists. This in reference to the dialog GC and I are having about similar topics. She showed me an urban farm run by the Capuchins order of Christian brothers [Earthworks Urban Farm named No. 3 in U.S. by Natural Home magazine. Detroit is 1/3 vacant, either vacant lots or vacant buildings, and food scarce. 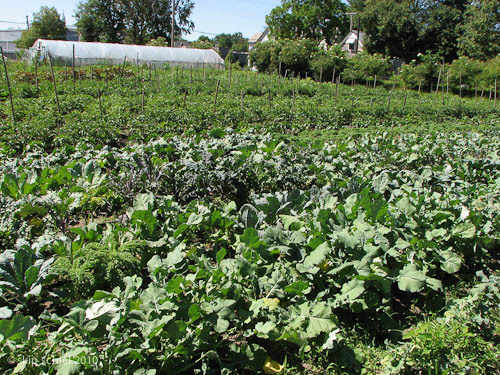 It also has one of the largest quantities of urban gardens and farms of US cities. ], a large expanse tended by the brothers and volunteers. Then a small farmers’ market they run. 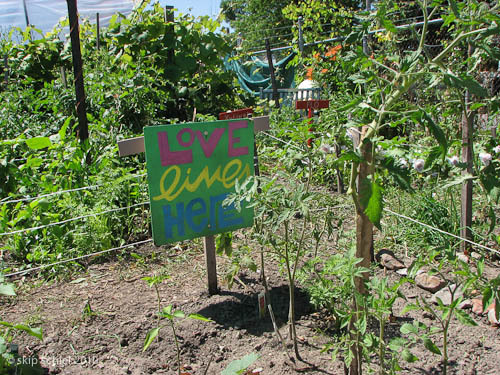 We met a young black woman intern who asked us to visit her 3 by 3 ft plot named Love lives here. 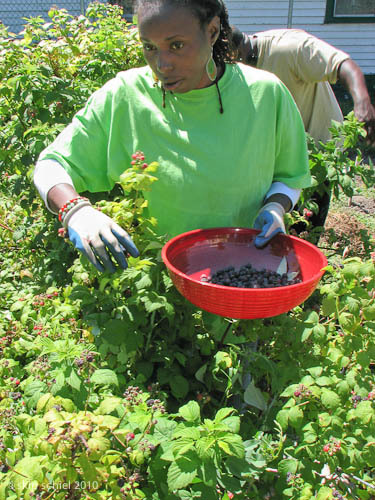 A group of black adults, male and female, were harvesting blackberries to make jam. One man overheard me mention my garden and asked, do your greens survive the winter? He was very interested in preserving his plants and had heard this might be possible. I commented to DD, gardening touches the soul in most of us. 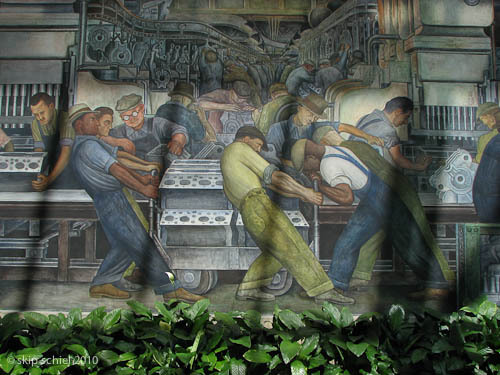 DD brought me to the Detroit Institute of Art, the DIA, a huge complex that features a mural by Diego Rivera, commissioned by Edsel Ford in 1933 to depict the Ford Motor Company River Rouge plant. It is organized by the diurnal work cycle, enter and leave the plant, while another narrative runs above the main one, this about uses of the vehicles including warplanes dropping mustard gas. Authorities are all pictured with scowls on their faces. Very impressive, I photographed extensively. We were surprised to learn the DIA was showing a special collection of Robert Frank photos (born in 1924 he is now 86 years old) concentrating on Detroit. The city was one of his first stops with his Guggenheim grant in 1955-56, and the Ford company permitted him to photograph a plant, the 1st such photographer to do so. Many of the photos were blurry and dark, not even well composed, surely not among his best, but some were standouts. Only a few made it into The Americans, his seminal book published in 1959. Later we met Karen—who, when she 1st heard our plan to visit gardens, asked to come along, and then realized this would not be appropriate. She asked me to take notes about locations—at a recently opened Paris crepe for lunch. DD told us that her husband G has been transferred to a new congregation north of Detroit, partially because he’s run into some trouble with his current congregants over his willingness to discuss such loaded topics as abortion. Some feel this is not discussable because it is clearly wrong. Using the entrance tags DD’s membership had bought us, Karen and I reentered the DIA for more viewing until closing time. I concentrated on Native American art, then Egyptian, and finally, at her urging—we were in phone contact—contemporary. She’d discovered a video installation by William Kentridge, the extraordinary South African artist I’d met at an opening in 1999. After meeting with the highly charged Tova P to give her a Gaza print for her organization’s auction benefit we then dined, 1st trying Tova’s suggestion of the bistro—too expensive, could tell by the double white table cloths and fancy table ware, starting at about $16, then the union grill, more in line with our budget and tastes. Talking with Tova as she selected a print—ultimately the one of the adorable Yousef peering playfully at me over his glasses—I listened to her think out loud: Given the context, which would be best? What will someone buy? And what will not upset donors because of the embedded politics? What will suggest peace advocate? She looked up Yousef on the internet, found his blog, current writing from Norway, and asked me to write him inquiring whether he’d submit a short statement about himself that might go with the photo. What else from that day? Lots of photos. Lots of interaction. Lots of friendship. Some news: Carol’s mother committed suicide at age 69, in the house, with a gun shot to the heart, after suffering depression and some health loss, including her eyesight. She said she did not want to become an old woman. Father was devastated, lived into his 80s. I briefly outlined my story about Pearl, my mother, noticing how empathetic Carol is, what a good listener she is. And told her so. Last night’s dream no. 1: with a young daughter, Katy (a recurring theme), on a trip, me the sole parent, buying her something, at the library.